No idea what entrecote means, nor did I have an idea on what this restaurant served. 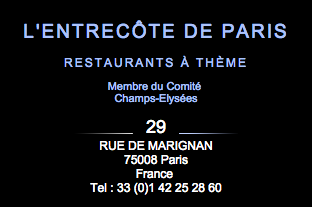 I was just told by my friend Kath to try this place out when in Champs Elysee. Kath sent me a picture of their card and I kept it on my phone. On the day we decided to walk along Champs Elysee - I was already secretly looking for this place. I think the first few minutes of walking - I couldn't see it. I was beginning to give up when the signage caught my eye! It wasn't actually along Champs Elysee - it was tucked in one of the streets parallel to Champs Elysee. 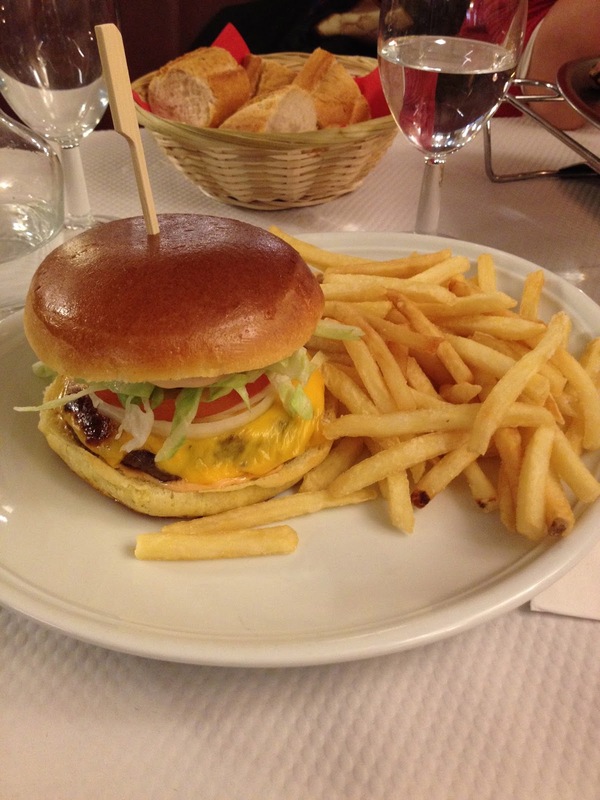 This restaurant has a number of dishes on the menu, but their specialty here in L'Entrecote de Paris - is their Steak Frites and a burger dish. So we ordered one of each. I was glad that they carried a kids menu and I quickly picked the chicken nuggets - please don't judge me, but it's the one most likely to be eaten by Kailee. 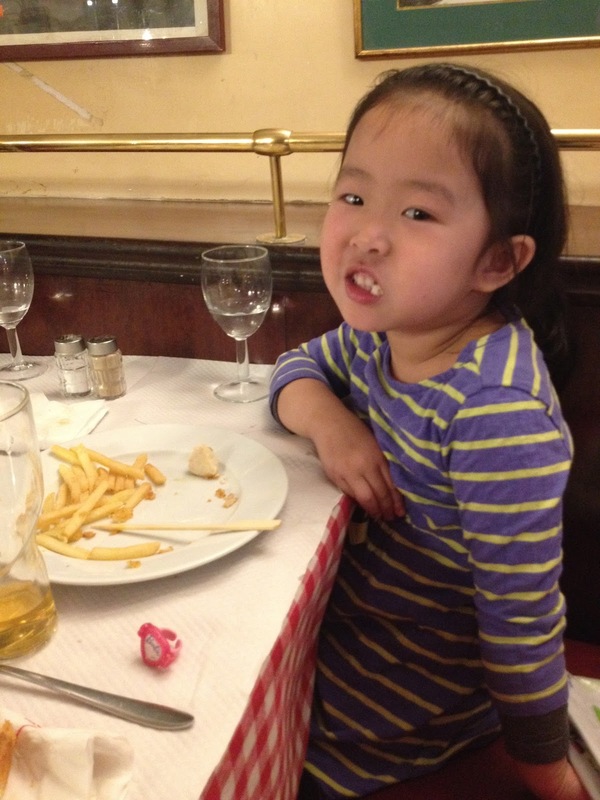 The other choices were small burger and pasta, Kailee was not with those. This is their burger dish. I forgot how much this was, but it was good. The size was just right for me and it wasn't very hard to bite into. I must say though, that their fries are ahhh-mazing! I love fries and this for me was one of the best that I've tried in my life. It was crispy and soft in the inside. You can actually hear a crunch when you bite into them. I enjoyed it immensely, it was a great thing that it was unlimited - meaning, I could just ask for more and more and more! Yes, unlimited - not just one or two servings. I asked and asked, they just gave me plates full with smiles on their faces! I was so happy! Hahaha.. This is their specialty - Steak Frites. When you look at it, the serving seemed to be small. My Panget immediately uttered *Magugutom ako neto! * He judged the serving immediately. But then as we ate and ate - he started to feel full! When he finished all the steak he declared that it was very filling. I had a bite or two and it was good. It wasn't the best steak I've had, but it was good enough. I love the sauce too! I couldn't quite figure out what the sauce was, but it complemented the steak very well. I was so proud of Kailee because she finished all the chicken nuggets on her plate! Look at her! I was so happy and proud that I had to take this picture as *proof*! Haha.. Kailee wanted to feel like an adult and so she had her own adult glass of water. Hahaha!! 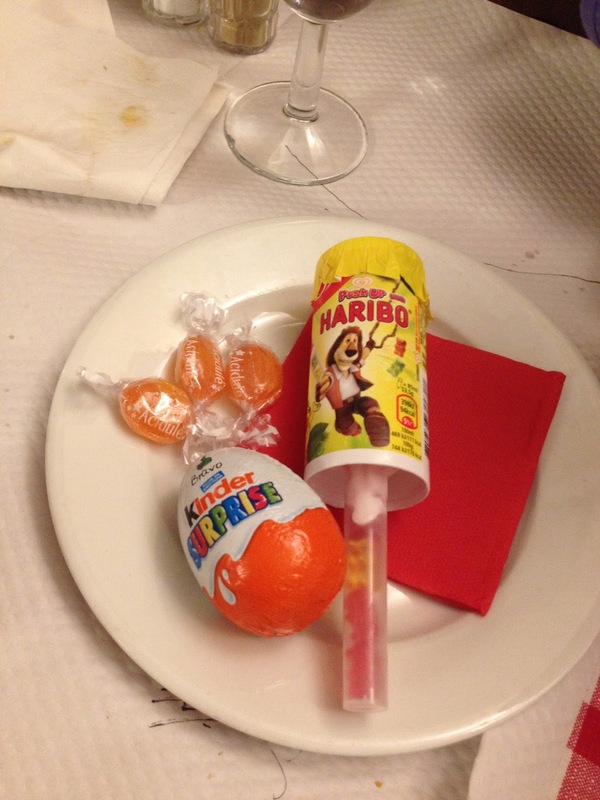 This is the dessert plate for of the kid's menu. 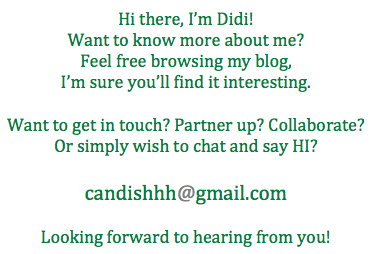 This was really charming. Kailee was so happy to see the Kinder Surprise! There was a Haribo ice cream with gummies. 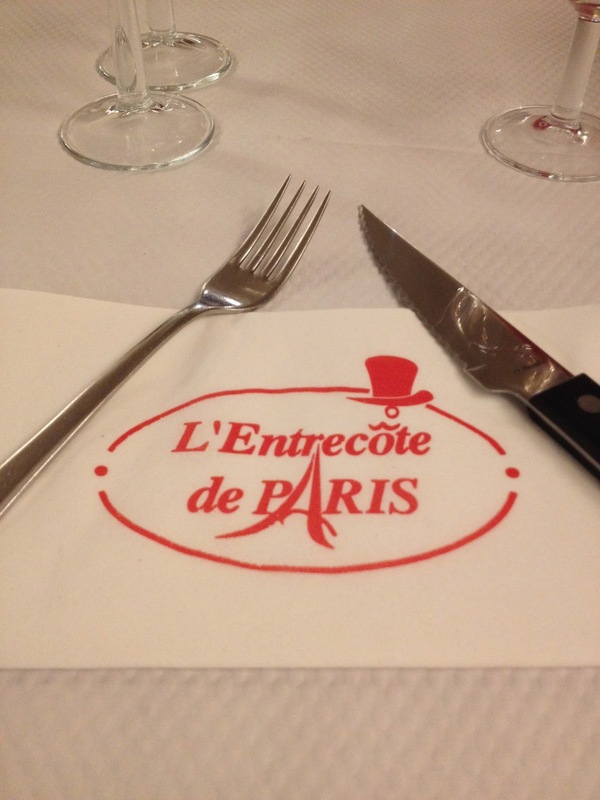 We enjoyed our Parisian lunch at L'Entrecote de Paris. My Panget felt like it was a tourist trap, but then who's complaining? We loved the food, it was good, we were very satisfied - and I thought, that was enough. Hahaha!! :) This was my first ever experience with entrecote - and I personally enjoyed it so much. So, thank you Kath for recommending this!